What Happened to the Mayan Empire? As many as ten million people, a third more than live there today, are believed to have lived in the heartland of the Maya empire in present day Guatemala. 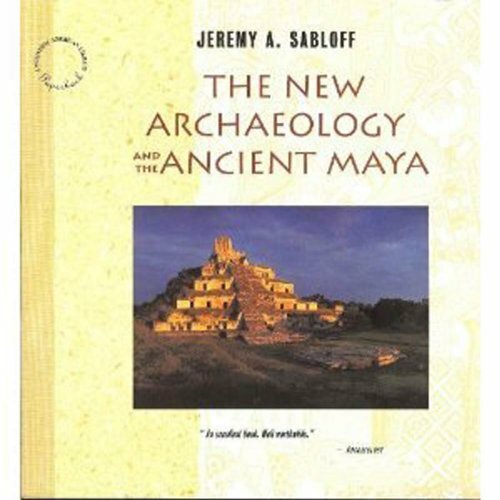 Yet by 950 A.D many of the great cities were abandoned and 90 to 95 percent of the Mayan people had disappeared following what is known as the Great Collapse2. 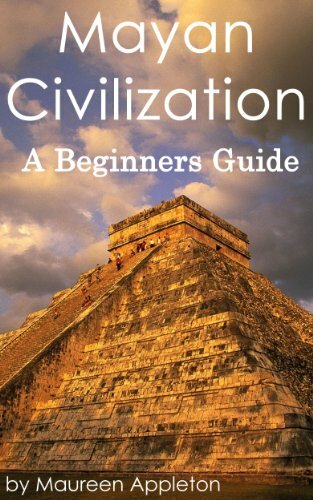 With virtually the entire written record of Mayan civilization destroyed by the conquering Spanish, the cause of the Great Collapse is generally regarded as a mystery. Many theories have been proposed, including warfare, peasant revolt, epidemics, overpopulation, environmental degradation, climate change, and drought. Most researchers believe that the fall of the Mayan empire was the result of a combination of elements, but continue to disagree on the relative importance of each contributing factor. Drought generally features prominently in the debate, and the importance of water is without question. Mayan agriculture depended on a secure water supply to produce enough food for the empire’s millions. But with few rivers and lakes, they depended on collected rainwater, which they stored in reservoirs or underground caves. Consequently, they were particularly vulnerable if the rains failed, and even a mild drought could result in a water shortage. At the same time Mayan agriculture was pushed to the limit by pressure from a growing population. For 2000 years Mayan farmers had been growing crops on nutrient poor tropical soil using a combination of slash and burn agriculture and intensive gardening. Their only domestic animals were dogs and ducks, so for meat they were dependent on hunting wild game4. There is compelling evidence6 that this was the situation for Mayan agriculture. Pollen samples from 800 AD contain mostly weed pollen and very little tree pollen, indicating that massive deforestation had taken place. There is evidence from lake-bed sediments of heightened soil erosion resulting from overuse of the land. At the same time, this deforestation occurred at a period when the climate was drying, and may have worsened existing drought conditions by increasing temperatures and the rate of water evaporation. Additional evidence for deforestation has been found in the floors of Mayan ruins. In early ruins the plaster floor stones were often more than a foot thick. A hot fire was used to make the plaster paving stones and it is estimated that the builders would have needed to burn about 20 trees to produce one square meter of flooring. However, it seems that the supply of wood became scarcer, because the floor tiles gradually became thinner over time. Researchers have also established that this deforestation was accompanied with a 90 to 95 percent population drop, so that by 950 A.D. many Mayan cities were deserted. Failing food production brought the Maya close to starvation, a fact which is borne out by archaeological evidence from skeletons. Analysis of food waste has shown that members of the ruling class, who previously ate large game such as deer, were eating primarily small game such as rabbits, which were traditionally the food of the lower classes. This is an indication that large game animals were disappearing, either from habitat destruction or from over-hunting. Other factors which may have made the situation worse were unrealistic demands for tribute by burgeoning royal families and rivalry between city states which led to competitive building projects and public pageantry. Perhaps as a result of the food crisis, or perhaps as a result of unrealistic demands from the ruling class, Mayan society began to fall apart. The situation degenerated as power struggles between the city states ensued. Trade routes failed, diplomatic alliances broke down, and warfare and civil unrest escalated. Excavations at Cancuen6 a major Maya trade center in present-day Guatemala and the site of the largest known Maya palace, have uncovered evidence of a sudden and devastating invasion of the city around 800 AD. During the incursion, carved stelae were defaced. 31 members of the ruling family, including women and children and two pregnant women, were executed and thrown into a cistern, and the king T'ah 'ak' Cha'an and his queen were buried in full ceremonial regalia. The motive of the invasion was apparently not robbery because valuable jade and household goods were not taken.It is theorized that the peasants may have revolted against their rulers, and that this same scenario may have been repeated at other sites. While the southern Maya empire collapsed, the Maya did not disappear entirely7 which has led some scholars to reject the use of the term "collapse." Chichen Itza and other Mayan cities on Mexico’s northern Yucatan8 Peninsula continued to prosper until the mid 13th century when many, but not all, of the cities were mysteriously abandoned. After two failed attempts, Francisco de Montejo y Leon successfully conquered the Yucatan for Spain in 1537. The Mayan culture was suppressed by the Catholic church, which attempted to convert the people to Christianity and erase the Mayan culture by destroying books and statues. Several Maya groups in Guatemala rebuilt their city states in the Peten Lakes area of present day Guatemala and these cities lasted until the arrival of the conquistadores. The Spanish conquered Nojpeten, the last independent Maya city-state in Guatemala, in 1697. The Mayans continued to resist conquest by the Spanish and subsequently absorption into the Mexican empire. Resistance finally ended when the Mexican army seized the Mayan capital of Chan Santa Cruz in 1901. The answer to the question of whether drought destroyed the Mayan empire in the tenth century has not been resolved. If the Spanish had not destroyed Mayan records, we might have more understanding of the events of the time. However, given the lack of written records, scientists are left to disagree on the extent of the drought, whether it was a cause or an effect of the agricultural crisis, and even on the extent of the collapse. Terrific article Lesley. It's such a shame so many historical records have been destroyed over the course of history. I do find it amazing how much, even all these centuries later, experts are able to put together even though much is still a mystery. Thanks, Leigh. I agree that the loss of written records is a historical tragedy.